Welcome to the STEP revolution. 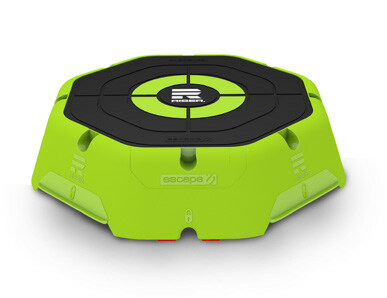 The Escape STEP and RISER are set to revolutionise step classes with brand new opportunities for programming and stepping exercises. 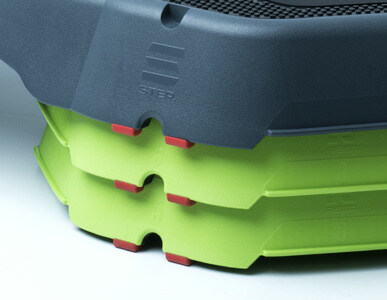 The Escape STEP consists of two parts – the STEP and the RISER. 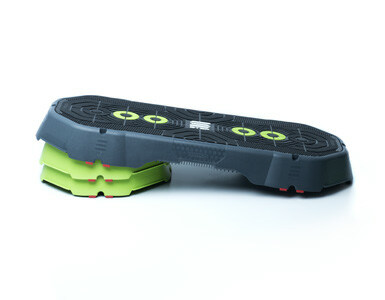 These two products can be used together, or on their own as individual stepping platforms. These new configuration possibilities offer instructors the opportunity to develop three-dimensional step-based classes to push members to achieve fantastic results. 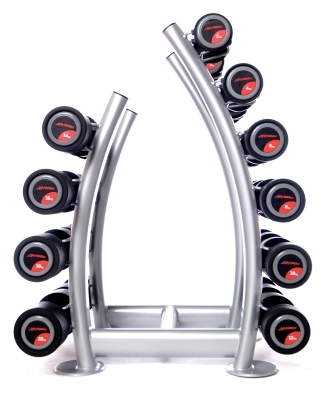 Categories: Free Weights & Accessories, Accessories, Free Weights And Accessories, Free Weights & Accessories, Accessories. 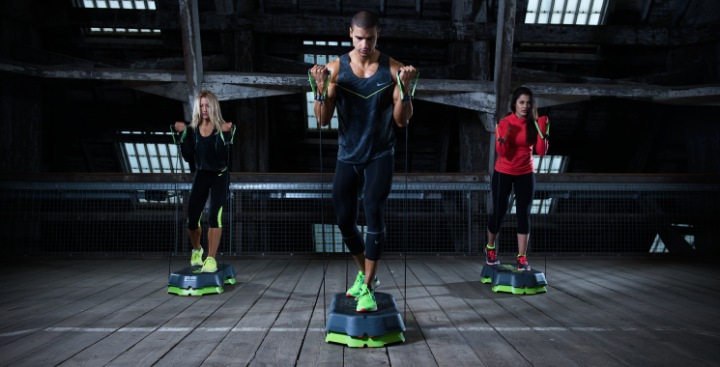 Tags: multiplyo, plyo, soft box. 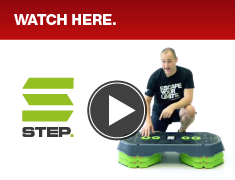 The STEP is multi-configurable – it can be used for traditional and speed step sessions, bootcamps and plyometric training. 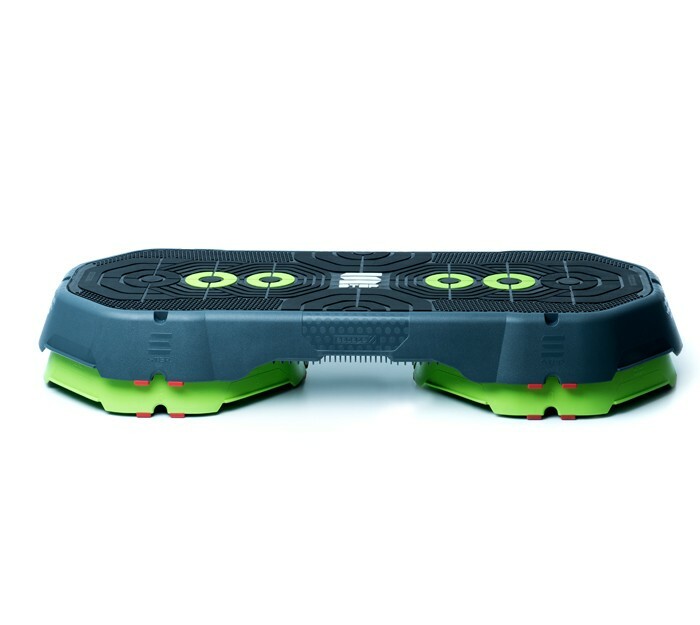 The widest stepping platform on the market. Dedicated points for using Resistance Tubes. 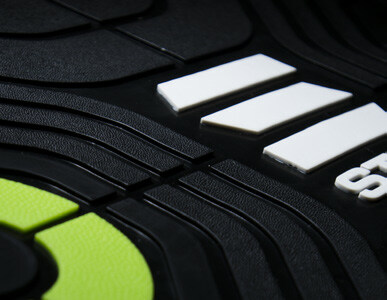 Tread texture varies for increased grip or smooth torsion. 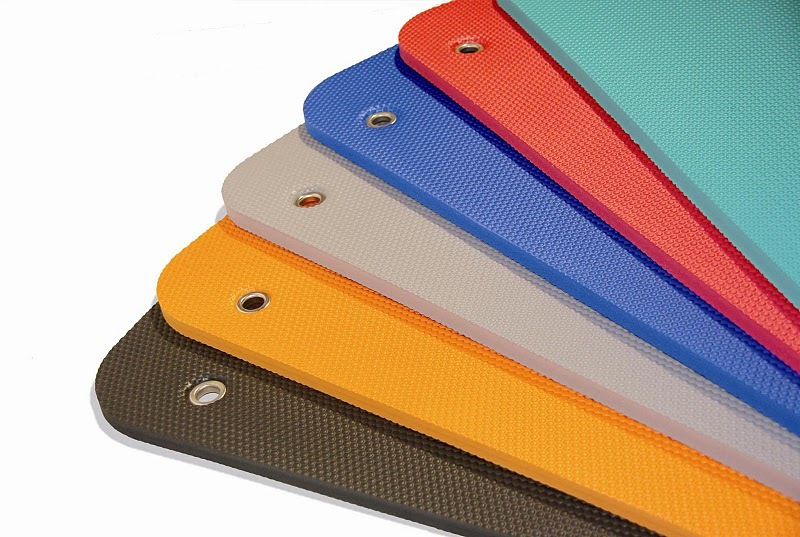 The heat-welded top mat will not come loose. Anatomical target zones for hands and feet. Unique secure locking system keeps platforms sturdy. 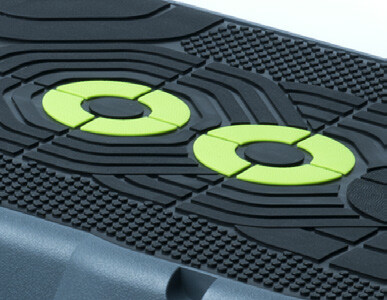 Rubber stabilising blocks prevent the STEP and RISER slipping and provide extra cushioning. 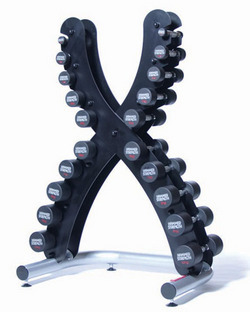 A secure stacking system ensures space-efficient storage. on the STEP platform enable creative and effective programming, and make it easy for all members to follow choreography. 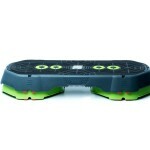 allows for easy transportation of the STEP, and easy transitions from horizontal work to incline work. 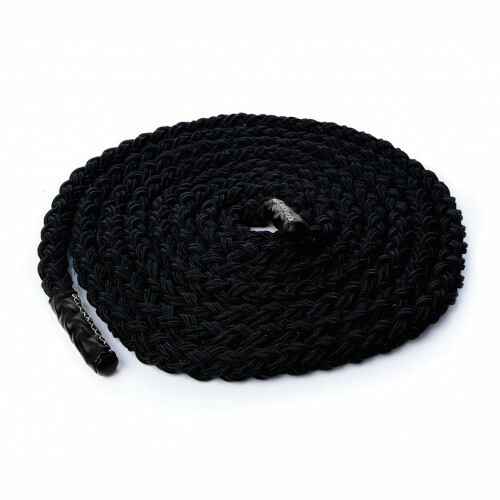 heat welded to the surface allows for fast-paced stepping programming as the mat will not come away from the STEP. to create an incline bench and use Power Tubes and Resistance Tubes at dedicated points in the STEP for strength training.